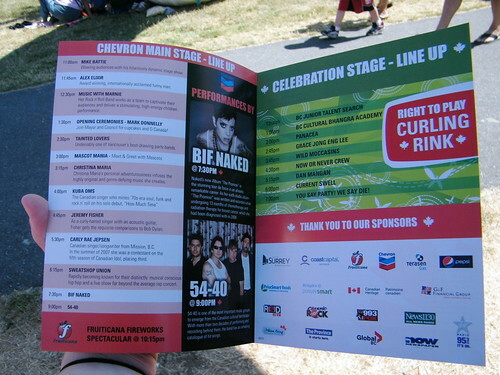 This morning we headed out to the Cloverdale Millennium Amphitheatre for Surrey’s Canada Day festivities. 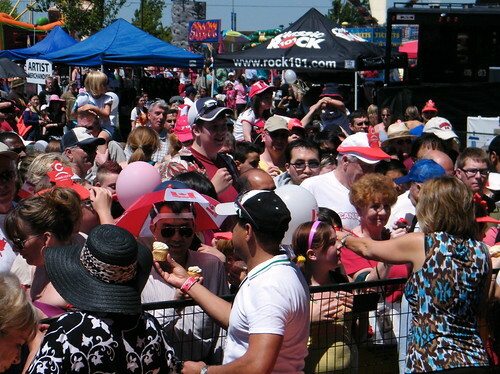 As Western Canada’s largest Canada Day celebration it doesn’t disappoint. 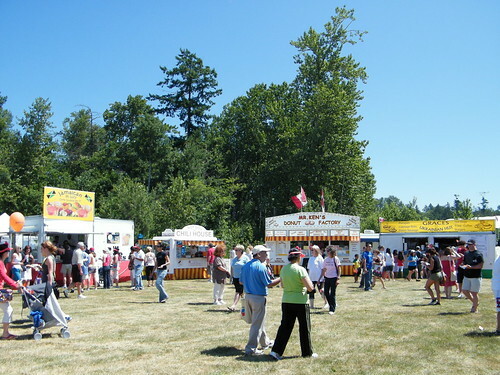 There are aisles of food vendors, from Jamaican patties to crepes and perogies, a craft area for kids, sustainability zone, interactive displays, midway games and rides, and two large stages filled with entertainment until tonight. This morning we walked around to check things out, grabbed a smoothie from the Jamaican ‘Mi Juicy’ cart, and enjoyed the opening ceremonies. Mark Donnelly (who often does the anthem at Canucks games) led the crowd in singing O! 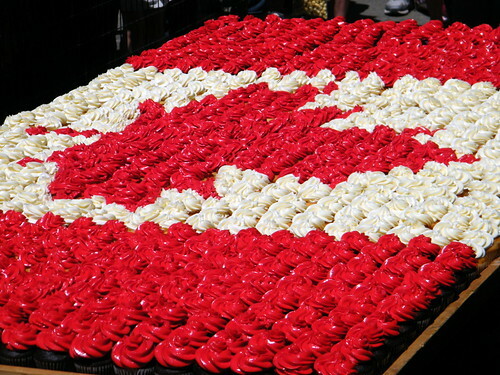 Canada and the Mayor introduced local MLAs, MPs, and council members before everyone devoured a giant cupcake-cake of the Canadian flag. We’re heading back now to catch performances by Kuba Oms, Jeremy Fisher, Carly Rae Jepson, Sweatshop Union, You Say Party! We Say Die!, Bif Naked, and 54-40. 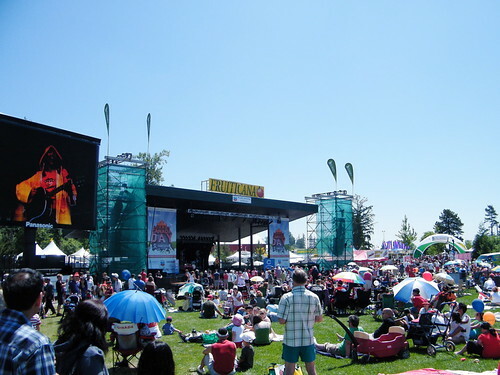 The entire festival is FREE of charge and will end with fireworks at 10:15pm. The rest of my photos are available on Flickr and John, who takes much better shots, has his up on Flickr as well. Wow, that looks like quite the event they put on! 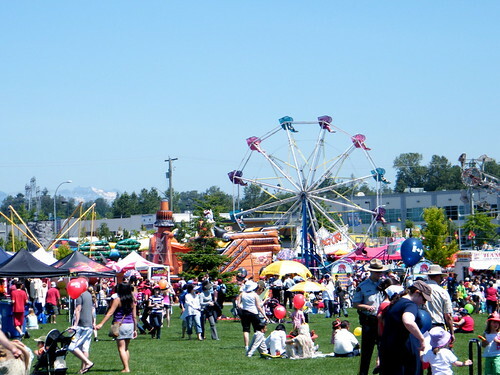 We live in Steveston and attended the annual Salmon Festival. 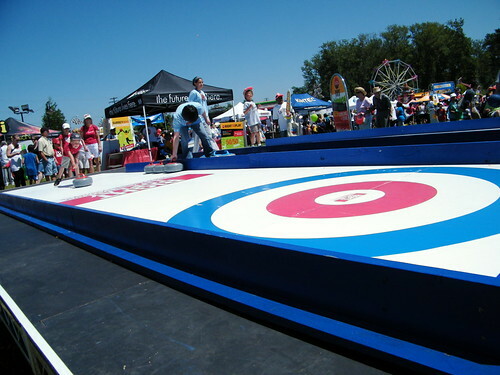 It attracts over 75,000 people so rather crowded for such a small area but fun for the whole family. 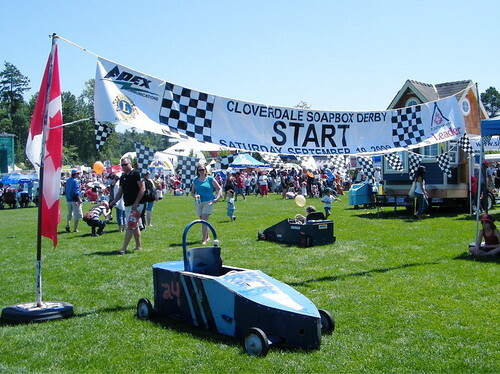 I drove by the Cloverdale Millennium Amphitheatre yesterday and it busy (a good busy). Normally I would head to the Steveston’s Salmon Festival but this year I opted out of doing both by taking my mom out for lunch instead. The fireworks started around 10:30..
As a Brit i came to Canada several years ago to start a new life. Now i have my dual citizenship for the UK & Canada… I’m very proud to be Canadian. 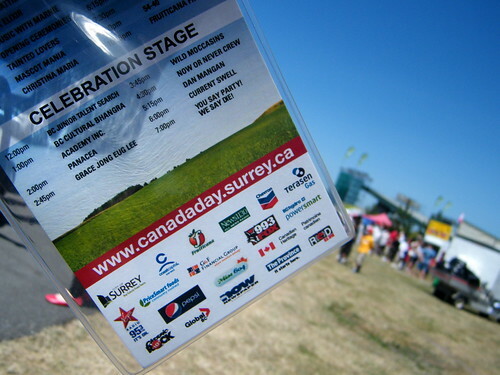 I missed the event in Surrey yesterday but next year i will definitely be there, it looked like tonnes of fun…. i saw the footage on the news and it looks like everyone had a blast! I spent the day in Deep Cove in North Van……. it was pretty quiet, i was surprised, but didn’t complain, we spent the day on the beach surrounded by the water and mountains, it was truly terrific. Only in Canada do you get to experience such wonderful surroundings. What a beautiful post, Rebecca! I really enjoyed it. 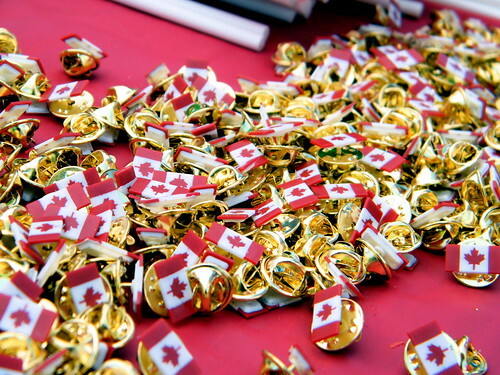 Maybe a bit belated, but … Happy Canada Day! Love and hugs from me.